If you need to find an unlisted Sefer, please become a member. If you buy Seforim regularly, members are discounted. Only members are permitted to sell books on the Seforim Exchange. If you are a collector, distributor, bookstore or used book dealer please become a Subscriber. Please fill out the registration form and choose a Membership plan. Discounts on all new book purchases over 200 sh. Discounts on all purchases over 100 sh. Search for book in print Non-members 70 sh. Members 45 sh. Subscribers 35 sh. Non-members 100 sh. Members 70 sh. Subscribers 50 sh. Research/bibliographic hour Non-members 290 sh. Members 190 sh. Subscribers 135 sh. Hafatzat Torah: .. Please explain! Hafatzat Torah is the teaching of Torah in the wider community. Torah is compared to light. The more Torah.. the more light. 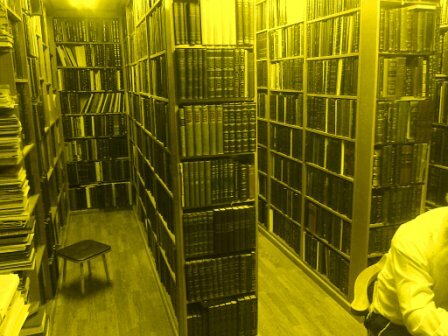 Through the generations, supporters of Torah have always sought to help scholars print their Seforim. Did you know that today we are helping more than a thousand authors to publicize thousands of Seforim to tens of thousands of readers? Please help us to help them spread the light of Torah! Use our SSL registration form to make your donation, or via PayPal below!